In a series of tailored workshops, LEAD! has invited a selection of mentors who will coach and prepare the students to develop the leadership and communication skills needed to become successful orchestra leaders. Our mentors for this project are leaders who have worked with the Vienna Philharmonic, the Rotterdam Philharmonic and the London Philharmonic Orchestras. 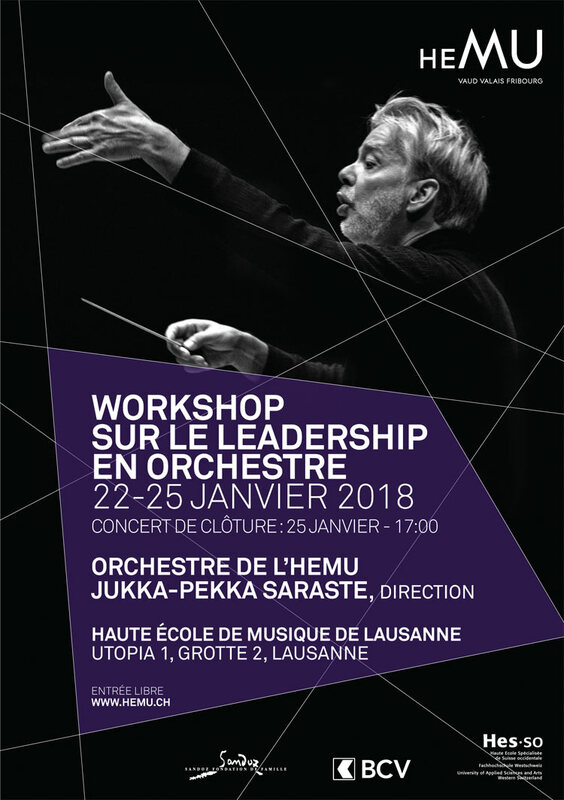 Teachers from IDHEAP (Institut de Hautes Etudes en Administration Publique) will be joining the sessions, which will all be led by our Artistic Director, Jukka-Pekka Saraste. The sessions will be supplemented by roundtable discussions on the subject of communication, the different facets of authority, and using one’s true personality in leadership situations.